Coupon code 10off gets you $10.00 off the regular price in the cart. This brings your PMP Certification Bundle to just $99.00 for 600 questions! The CertBlaster® PMP 6th Edition practice test helps you prepare for PMI’s PMP exam. With 600 practice questions similar to the ones on the actual exam, this is an exceptionally comprehensive and complete practice test offering. What is included in the PMP Exam Simulator? 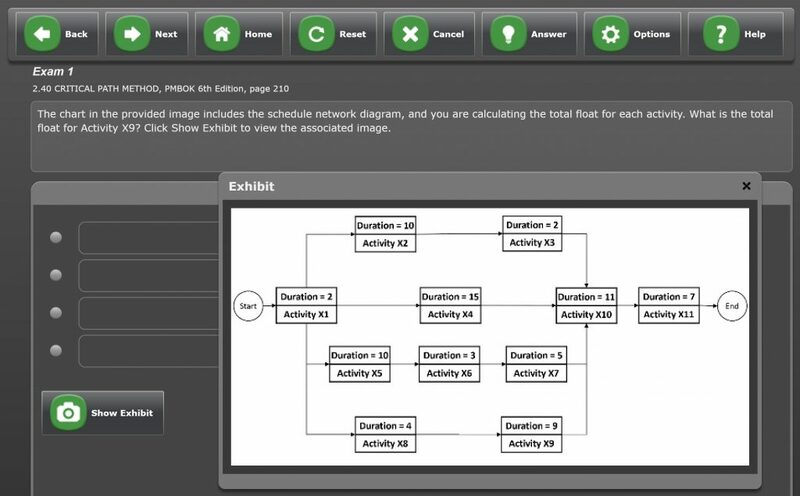 – In Study Mode each question and answer is tagged by Domain, Knowledge Area, and Process. 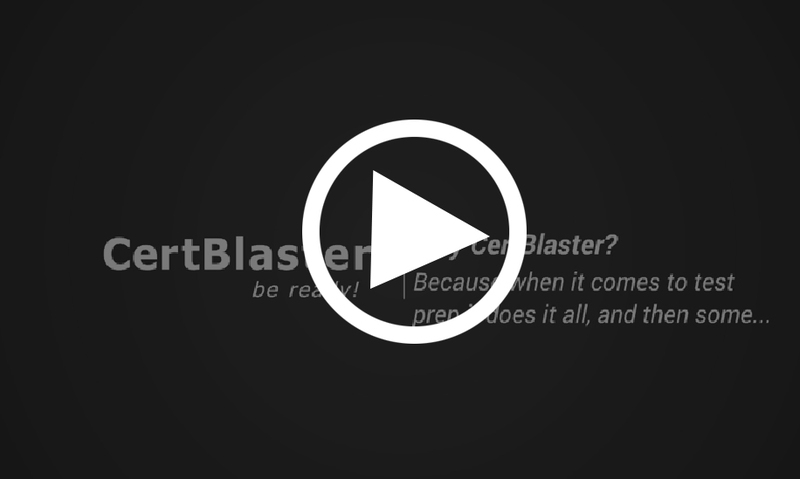 – Periodic updates: To keep the content up to date and in sync with the very latest question banks we do quarterly updates that are propagated to your CertBlaster live and in real time. Example of a PMP question in the CertBlaster Exam Simulator, this question references page 210 in PMBOK 6th Edition (see under “Exam 1”). The Exam Domains as defined by PMI are Initiating, Planning, Executing, Monitoring & Controlling, and Closing. The exam tests your ability to plan, articulate, and manage projects completing them on time. Often seen by IT professionals as the next logical step after IT Technical Certification, PMP opens more doors to a greater variety of companies. Intel, Dell, HP, IBM, Oracle, SAP, and Xerox among others count large numbers of PMP certified project managers. PMI is the leading non-profit professional association for the project management profession. Over 650,000 individuals have obtained one or more of PMI’s certifications. PMI’s professional resources and research offer various services to over 2.9 million professionals spread out over nearly every country in the world. PMI is an advocate for the entire project management profession and the leading sponsor of project management certification. PMI’s worldwide advocacy for project management is reinforced by its internationally recognized professional standards, certification programs, academic and market research programs, as well as its volunteer and professional development opportunities. PMI’s standards for project management are the most widely in use in the profession and are the most popular standards for project management in business, non-profit organizations, and government. They are developed by the PMI volunteers (the members) with make available their diversified backgrounds and experience in every type of project. They help provide a common language for project management globally. Because we have exceptionally comprehensive exam simulations and practice tests for PMP including 600 questions! Because you get 3 complete exam simulations plus 5 Content Area Drills (one for each PMI defined Content Area). Because CertBlaster® is 100% delivered online, you can access the PMP Practice tests and Exam Simulator immediately and securely from any Windows PC or Mac. There is no legacy software to download, no installation, and you always have the latest and greatest version of the tests as they are regularly updated and upgraded online.